SOCHI: The Court of Arbitration for Sport on Thursday lifted life bans on 28 of the 43 Russians accused of doping at the 2014 Sochi Winter Olympics, meaning some could still compete at this month’s Pyeongchang Games. Sport’s top court ruled there was “insufficient” evidence that the athletes had benefited from a system of state-sponsored doping at the last Winter Games, hosted by Russia in Sochi. Russian President Vladimir Putin’s spokesman said he was “very glad” about the ruling which fell just eight days before the 2018 Olympics begin. 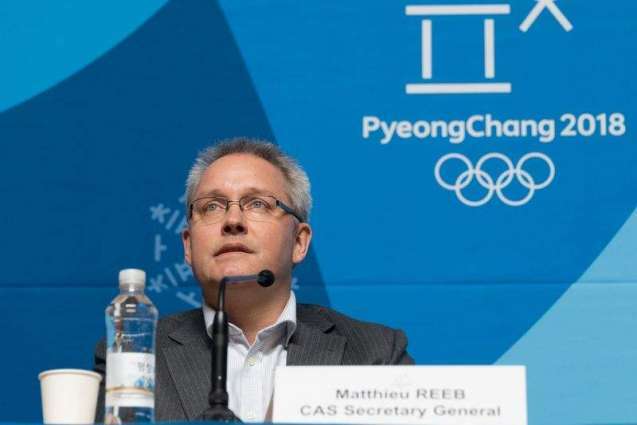 The Olympic body reacted to the CAS verdict by warning in a statement that “not being sanctioned does not automatically confer the privilege of an invitation” to the Games. Forty-two Russians – bobsleighers, cross-country skiers, competitors in the skeleton and ice hockey players – appealed against the bans at CAS. Meanwhile, CAS lifted the life bans of another 11 Russians but barred them from competing at the Pyeongchang Olympics that start on February 9. Among those whose life bans were scrapped is Alexander Legkov, 34, who won gold in Sochi in the 50-kilometre freestyle cross-country skiing event and silver in the 4×10 kilometre relay, only to have his results annulled over the doping allegations. Last week’s extraordinary mass hearing of Russian athletes held less than three weeks before the Olympics begin forced CAS to temporarily move their compact headquarters in Lausanne to a large conference centre in Geneva. The hearings at the world’s top sports court were as a result of allegations of a vast state-sponsored doping programme contained in the report into Sochi authored by sports law professor Richard McLaren for the World Anti-Doping Agency. His explosive findings laid out the workings of the programme – from the use of secret state agents to passing urine samples out of testing labs through mouseholes. But for Russian deputy prime minister Vitaly Mutko, CAS’s rulings proved Moscow never orchestrated a state-sponsored doping programme. “One can say that there wasn’t any system or any sort of manipulation at the Sochi Olympic Games, we’ve always said that but today the Court of Arbitration for Sport issued such a ruling,” said Mutko, who himself is appealing to CAS over his life ban. He was banned after being singled out in McLaren’s report. Many of the details about Russia’s alleged state-supported doping programme were first uncovered by a groundbreaking German investigation. News of Thursday’s CAS verdict was warmly welcomed in Moscow. “We are very glad for our athletes,” President Vladimir Putin’s spokesman Dmitry Peskov told reporters. “The information about the decision of the Court of Arbitration for Sport proves that energetic work to stand up for our rights in court and elsewhere – it is justified, it can be effective and it should continue,” Peskov added. Those Russians already cleared to take part in the Games will do so under the designation “Olympic Athlete from Russia”.